Conveniently located just off the Lanesboro Road, Roscommon Town, Ardcarne Garden Centre is a haven for gardeners – right in the heart of town. 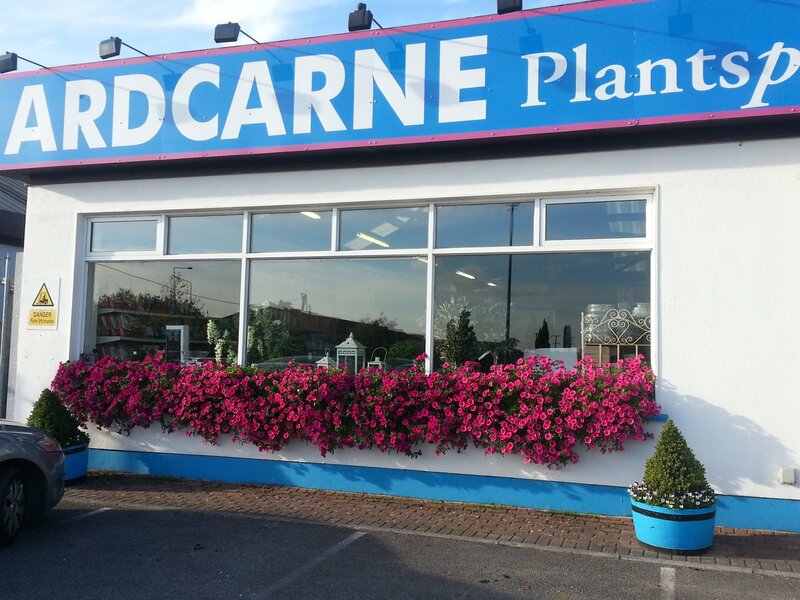 Established in 1998 as an off-shoot from Ardcarne Garden Centre in Boyle, this thriving garden centre offers everything you need for your garden and friendly professional advice is always available from our team of qualified horticulturists. The high level of service available at the garden centre has gained the garden centre several quality awards from An Bord Bia. A new 500 sq metre roofed extension to the plant area now ensures that customers can buy everything for their garden in comfort, whatever the weather. Here are some of the reasons why you’ll love Ardcarne Garden Centre. 1. Huge Plant Range - You can choose from one of the widest range of plants in the country. 2. Free Expert Advice - Our full-time team of qualified horticulturists have a passion for gardening. This means they are extremely dedicated with a high level of practical experience so you can get sound gardening tips every time you visit. 3. Free Customer Events - Throughout the year you can come along to free customer events and demonstrations and meet fellow gardeners. 4. Full Landscaping & Design Service – Have your garden professionally designed and landscaped by our award-winning landscape service (Boyle Branch). 5. Free Weekly Newsletter - You can receive a free newsletter every week by email which includes advice, offers and topical articles to help you get the best from your garden. 6. Free Plant Ordering Service – We’ll try to find that rare plant for you and contact you when it’s in stock. 7. Delivery – We will deliver larger items to your home for a nominal charge. 8. Personal Touch – We enjoy getting to know our customers and their gardens and have a local knowledge of what plants do well in certain areas. We are also happy to help you choose the perfect gift for that special person or occasion. And remember, Ardcarne Gift Tokens are always warmly received and a joy to spend throughout the year. 9. Plant Guarantee - All our hardy plants are covered by a two year guarantee. Apart damage by extreme winter weather – if a plant fails just bring it back with a receipt and we’ll give you a free replacement. 10. Convenient shopping – Both our branches have ample free parking and are open during lunch seven days a week.